I love a sale, especially when it’s online and I don’t have to trawl through rails and rails of untidy clothes hoping to come across bargain. 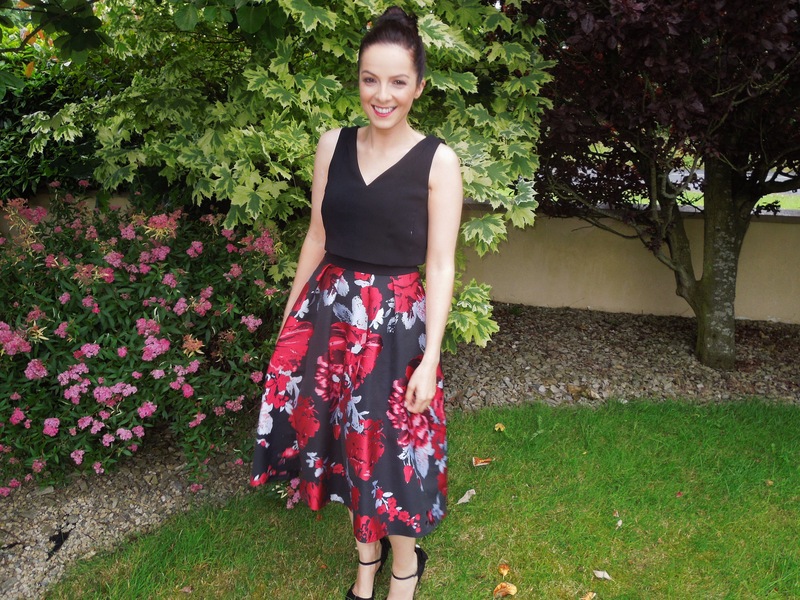 In collaboration with Littlewoods Ireland, I picked a few outfits from their ‘End of Season Sale’. Lots to choose from and plenty with 50% off! I went for dressy pieces as I have a few weddings coming up and I’ve way too much casual stuff already. This is my fav! Total outfit costs €69. This skirt is a really thick heavy material so it hides a multitude! I can see myself getting such wear out of this piece. I would say the sizing of this is small, I went for an 8 but if I was to order it again I’d get a 10, it’s a tad tight. It’s a really flattering length and sits high waisted on the hips. This top is super cute, the bow detailing on the sleeve transforms it from a plain black top into something more special. I wore this top with high waisted jeans at the weekend and loved it too so it can be dressed up or down. The shoes have cute bow details with pearls, it’s all about the small touches! This is a definitely a wedding appropriate look. This is a dress that looks like a two piece. It’s so comfortable and really well cut. The skirt is a heavy material and skims nicely over the hip area. It has a nice swing to it, great for throwing shapes on the dance floor! The V neck is just right, not too low, not to high. The top has an overlay that is flattering, it gives the illusion of a smaller waist. Dress is true to size. 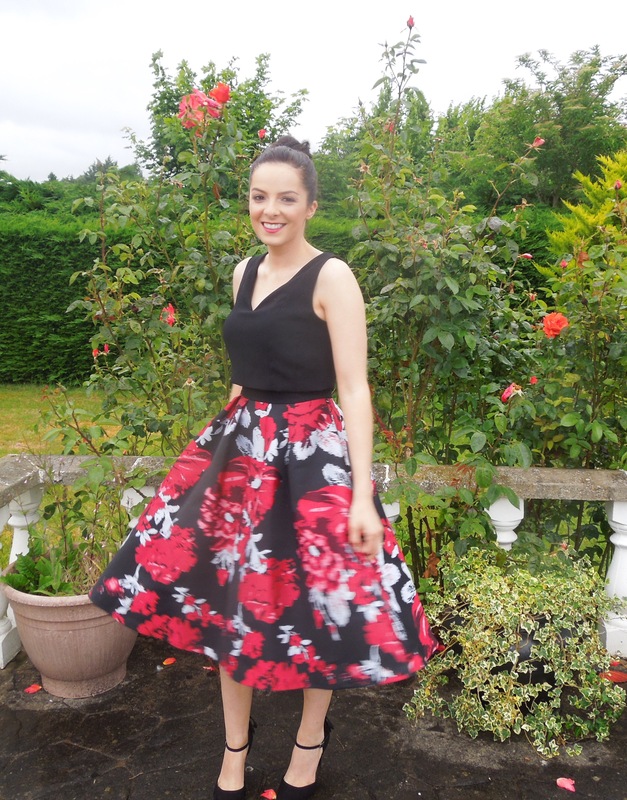 OUTFIT THREE – total €96. This dress isn’t something that I wouldn’t usually go for, I’m not typically into this style neckline on myself but it really pleasantly surprised me! The sheer neck with embroidery is quite classy and the detailing on the back of the dress really won me over! This dress would be perfect for anyone conscious of the collarbone/rib area as it has good coverage. If you’re fuller chested it may be difficult to wear as a strapless bra is a must with it. This dress is true to size and very comfortable. Excellent quality material. My shoes are the same as the previous posts. 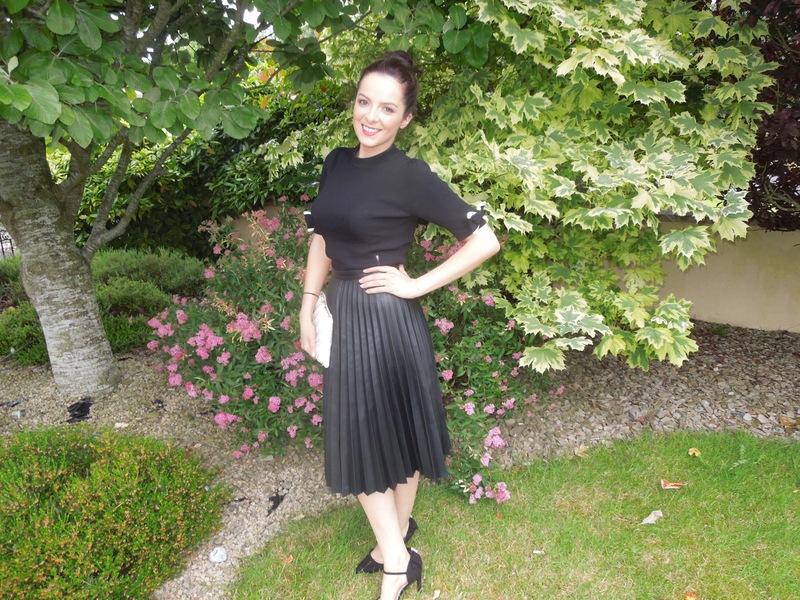 There’s my round up of the outfits I chose with compliments from Littlewoods Ireland from the End of Season Sale section. So much on there, it is definitely worth the browse. 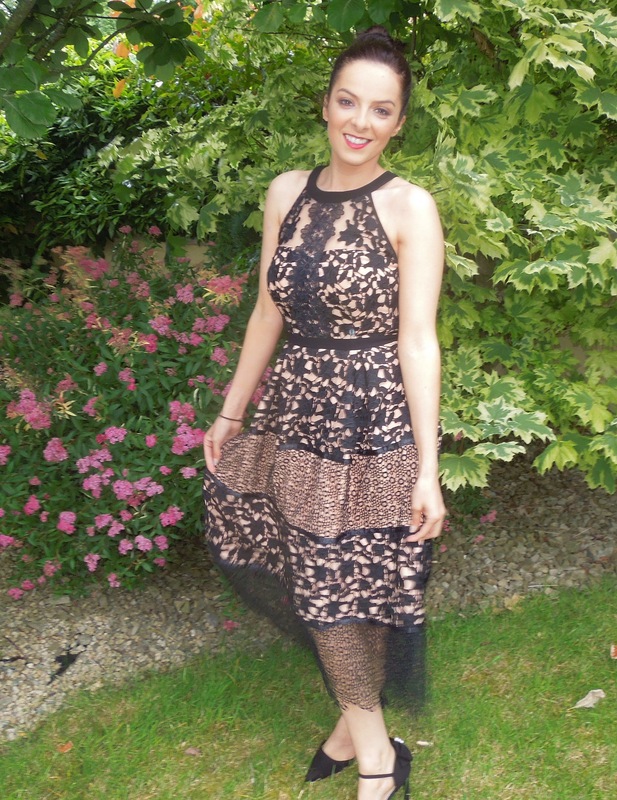 Previous Post Zara, River Island, Topshop….Athlone Town Centre has them all!